A new series meant a traditional cast reshuffle as Tim McInerney and Stephen Fry resumed regular participation (as Captain Darling and General Melchett respectively). Hugh Lawrie remained in a regular role, now as Lieutenant The Honourable George Colthurst St. Barleigh (George), while Rowan Atkinson and Tony Robinson reprised their usual roles as the latest incarnations of Blackadder and Baldrick. Captain Cook was released in 1989. It is 30 minutes long and originally aired on the BBC. 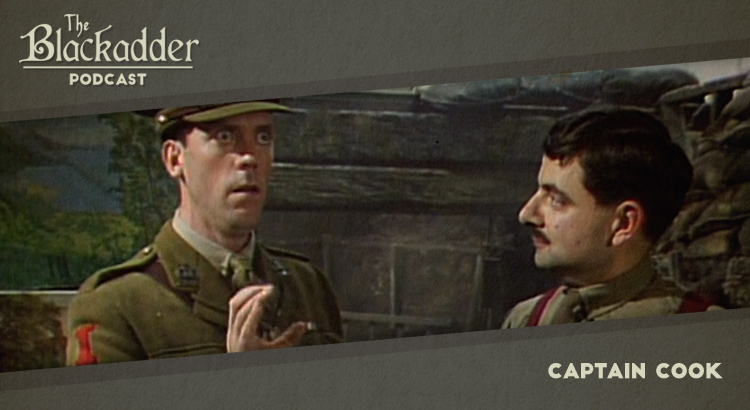 Blackadder Goes Forth is presently available on Netflix and a remastered set of the whole series is available on DVD around the world (Region 1) (Region 2).